For many individuals struggling with alcohol, the temptation to begin recovery in outpatient alcohol treatment while living at home and continuing their daily life is tempting. Unfortunately, although it sounds ideal, it may not be the best solution for all individuals. Speaking with a medical professional or addiction specialist can help you better understand your needs, or the needs of a loved one. For most individuals struggling with alcohol, outpatient alcohol treatment should come after the individual has completed inpatient or residential rehab. In outpatient alcohol treatment, clients are given more independence than in an inpatient or residential program. Outpatient alcohol treatment allows clients to live at home, work, take part in family activities and more. Because of the freedom clients have in outpatient alcohol treatment, it is recommended that clients first attend an inpatient rehab in order to build a better foundation for recovery. After completing inpatient or residential rehab, clients can move on to outpatient alcohol treatment with more confidence in themselves and their sobriety. Depending on the alcohol treatment program, clients may take part in a number of clinical services. Outpatient alcohol programs may consist of any combination of individual therapy, group therapy, self-help groups, 12-step meetings, recovery support workshops, life skills workshops and relapse prevention. The goal of outpatient alcohol treatment is to build off what individuals have accomplished during inpatient treatment and support them during their transition back into independent living. 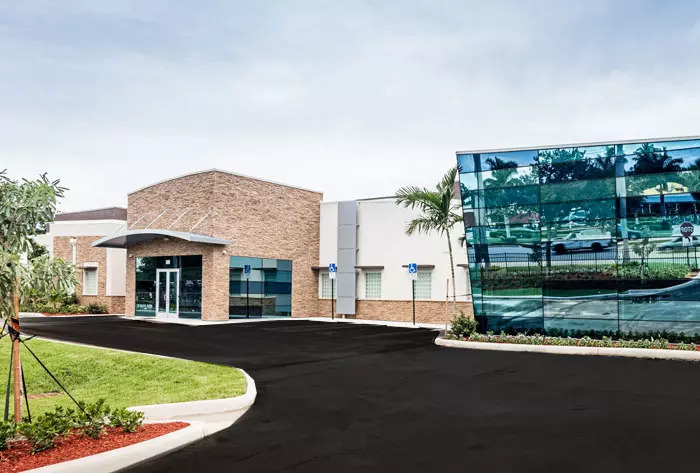 Because there are many outpatient alcohol treatment centers all over the country, it is important to thoroughly research the outpatient alcohol treatment center you are considering. If you have attended inpatient or residential rehab or, if you are planning to, the rehab center you choose may offer outpatient alcohol treatment as part of their continuing program. If they do not, they should be able to provide you with a few recommendations of good outpatient alcohol programs for after you leave. If you have been given a dual diagnosis, you should be sure to look for a program is qualified to treat both your addiction and your co-existing disorder. FHE Health provides intensive outpatient treatment as part of our continuum of care. Our program focuses on helping our clients transition back into independent living in a gradual manner while still in a structured, supportive program. Our rehab program offers medical detox, inpatient care, partial hospitalization, intensive outpatient care, sober living and aftercare. The outpatient phase of treatment at FHE Health focuses on group and individual therapy. Clients are encouraged to continue expanding their sober network and integrate into the community while attending our program, and while practicing the life skills and tools they have developed during treatment. If you or a loved one is struggling with addiction, please call us now for more information on our program and how we can help you get back to the healthy, happy lifestyle you deserve. Please call us now at (866) 421- 6242 or email us for more information.